Shop Online at the PGXU Store! 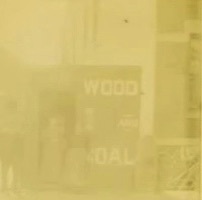 Learn how to preserve and restore your own photographs using Photoshop and Photoshop Elements. A course with theory and practice videos. 100+ page workbook. The course has been tested and successfully applied in live classrooms. 1-Year Free Phone/Online Help. 16 hours. For more information visit our Course FAQ and Preview section. Restore a severely-damaged wedding certificate in this 5 hour tutorial. 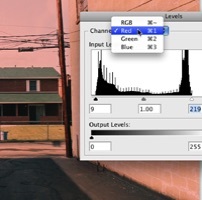 Go through the process using Adobe Photoshop (with tips for Elements users). Includes files. Photoshop CS or Photoshop Elements 4 or higher required. Approximately 5 hours. Click picture for more information. This tutorial is an excellent supplement to the Photo Restoration and Retouching Foundations Course. Brush up your skills with a front-row seat for the 50 minute workshop, and follow-up with three on-screen tutorials. Detailed chapter selections, picture files, handouts and extra articles are included. Approx. 85 minutes. 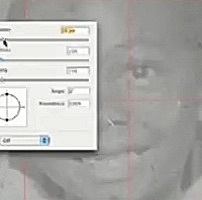 This tutorial is an excellent supplement to the Photo Restoration and Retouching Foundations Course. Intermediate. 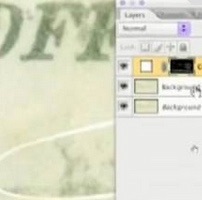 Using Adobe Photoshop™, learn how to restore scanned images from newspapers and faded writing in old documents. Includes the document and photo so you can follow along. Adobe Photoshop Elements Tips™ included. Approx. 65 minutes. This tutorial is an excellent supplement to the Photo Restoration and Retouching Foundations Course. Prints fade over time. 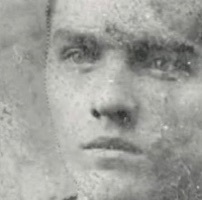 Tin types get darker. Using Adobe Photoshop,™ we help you clean up this deadly dance of a photo! Includes the photo so you can follow along. Adobe Photoshop Elements™ tips included. Approx. 60 minutes. This tutorial is an excellent supplement to the Photo Restoration and Retouching Foundations Course. Follow along, step-by-step, as we use Adobe Photoshop™ to bring back to life a photo that has faded into oblivion. Includes the photo so you can follow along, restoring at your own pace. Approx. 55 minutes. This tutorial is an excellent supplement to the Photo Restoration and Retouching Foundations Course. Follow along, step-by-step, as we use Adobe Photoshop™ to bring back to life a photo that has faded into oblivion. Includes the photo so you can follow along, restoring at your own pace. Approx. 40 minutes. This tutorial is an excellent supplement to the Photo Restoration and Retouching Foundations Course. 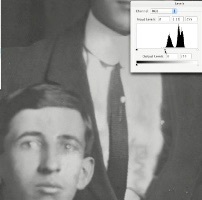 Follow along, step-by-step, as we use Adobe Photoshop™ to restore a picture that was not restored so nicely. A must-have for magazine art directors and photo editors. Includes the photo so you can follow along, restoring at your own pace. Approx. 30 minutes. DVD with case. This tutorial is an excellent supplement to the Photo Restoration and Retouching Foundations Course. 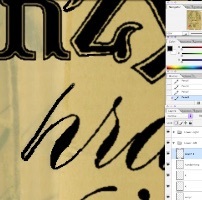 Follow along, step-by-step, as we use Adobe Photoshop™ to restore crumbled-away edges and faded details. Includes the photo so you can follow along, restoring at your own pace. Also includes Adobe Photoshop Elements™ tips. Approx. 90 minutes. This tutorial is an excellent supplement to the Photo Restoration and Retouching Foundations Course. 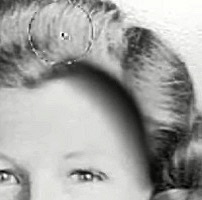 Follow along, step-by-step, as we use Adobe Photoshop™ to repair and enhance this worn-out photo! Approx. 30 mins. This tutorial is an excellent supplement to the Photo Restoration and Retouching Foundations Course. What do you get when you take a photo retoucher who spends hours per day removing blemishes, swapping out backgrounds, changing colors and experiences strange thoughts about photography, social problems and moral conflicts? 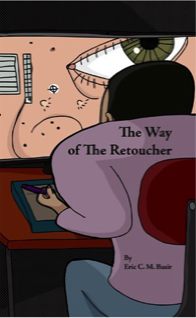 A borderline non-sequitor comic book called Way of the Retoucher. Eric C. M. Basir created the book as a celebration of the diverse creative expression of his photo retouching and illustration businesses. If you do not get a few good laughs from this book, you will certainly get a few insightful ideas to consider. Adults, children, artists, laborers, politicians, businesspeople and English-speaking chipmunks will enjoy Way of the Retoucher. This book makes a great gift for that special photo retoucher in your life. 150 pages. 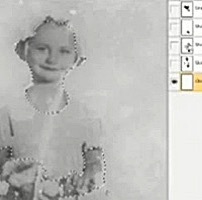 Are you new to the world of digital photography and using computers to restore and archive your photographs? This book is a compilation of questions and answers about this very important technology. 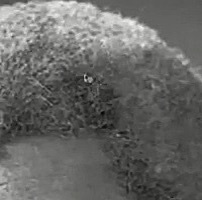 Professional photo retoucher and instructor, Eric C. M. Basir, has been teaching genealogists and others interested in preserving their family photos simple techniques and workflows since 2001. Download the pictures and movies used in the book here. Book II of the Photo Restoration Series continues with more insight to help you use digital technology and Adobe Photoshop software to preserve and restore your photos and treasured documents. Gain hands-on experience by downloading the files and following along. Download the pictures and movies used in the book here.